If social media, blogs, and your favorite wellness influencers have you scared to eat ANYTHING, this guide will eliminate the stress of knowing what to eat in order to heal your body. 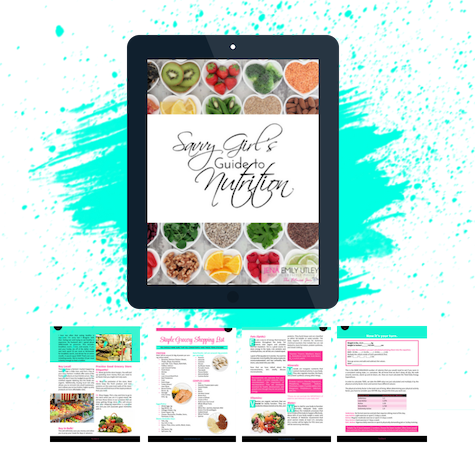 The Savvy Girl’s Guide To Nutrition is a science-backed nutrition guide that is realistic and takes complex evidence-based knowledge and makes it simple. Say BYE to the stress and overwhelm of knowing what you should eat to stay healthy. No pseudo-facts, bro-science, fads, gimmicks, quick fixes or removal of whole food groups here! Just a nutritional guide that you can learn and grow from!